Sometimes it seems like it's inevitable. At some point between October and April you are going to get sick with a nasty cold or a bad case of influenza. 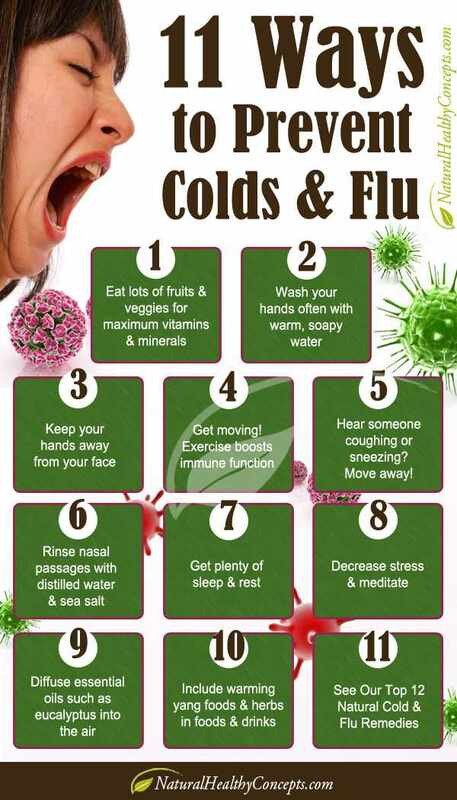 But there are steps you can take to keep the flu, colds and other illnesses away. This useful infographic lists 11 of them for you. Print out the PDF and post it at the office or in your home to help remind everyone of the best ways to stay healthy. There's a lot you can do to boost your immune system and keep your body's defenses in top shape. That includes what you eat, how much sleep you get and how often you wash your hands. So tell those germs to take a hike with these tips!